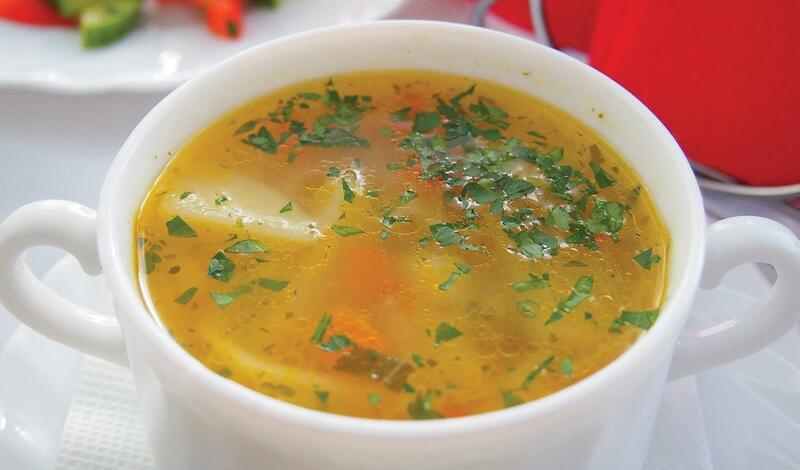 This flavorful soup can be Cuban, Colombian, Peruvian, Mexican or any other ethnic sector. Every culture has a different approach of ingredients and flavor profile. Combine the whole chicken in a large stock pot with the pumpkin, carrot,potato, tomato and onion. Add the prepared Knorr® Select Chicken Select Base along with the cumin, salt and pepper. Bring the soup up to a boil and let it simmer for approximately1.5 hours. Skim off any impurities on top of soup using a ladle. Add pasta and let simmer for another 10 minutes. Remove whole chicken, pull all meat from bones and place meat back into the soup (dispose bones). Hold soup on steam line above 140F, ready to serve 16 oz. portions.